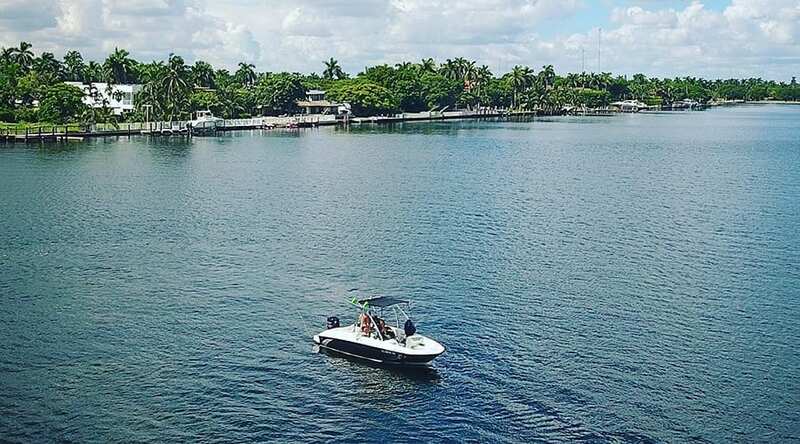 Our captained Boat rental will take you on a private sightseeing and cruise from Miami Beach. Discover Star Island, surrounding Islands. and Millionaires ‘row from a very nice and fast 18′ boat. Relax in the sun and cruise around Miami Beach with your personal guide. Enjoy a private boat tour of Miami Beach and Biscayne bay and learn from a knowledgeable Captain about the Miami area. Call 786-484-8022 for more information about our Private Boat Tours! This is a private charter (up to 5 people).